What Questions Should IT Professionals Ask In Interviews? It is no secret that hiring the right tech talent is all about experience rather than technical qualifications. There are a range of qualities that turn a good IT candidate into a great IT candidate. Solid technical foundations, work ethic and team spirit are all core qualities of talented IT professionals. However there is much less certainty about what IT professionals should be using to assess their employers. After all if you’re going to be working with an employer for a number of years, you want to make sure you’re well prepared for everything the role entails. 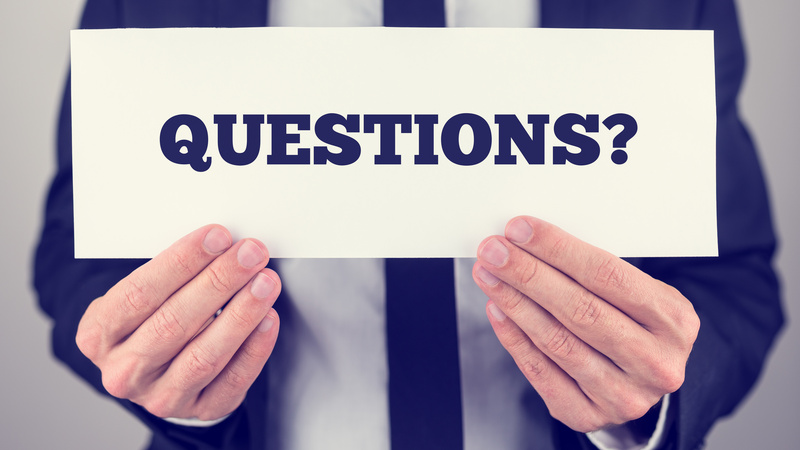 In this article we break down questions IT professionals should be asking in interviews. How Do You Keep Staff Skills Up to Date? Technological development is occurring at a breakneck speed. As such if you decide to do business with a company you want to make sure that you’re continually learning new skills. After all you don’t want to go into an organization and hit a plateau. Asking a potential employer whether they have any training in place to keep their employees skill’s sharp will tell you whether they will aid or hinder your professional development. Do You Offer Remote or Flexible Working Arrangements? In a market where more and more tech departments are incorporating flexible working arrangements, it’s a good idea to see whether your employer is open to this idea as well. Companies that incorporate flexible working arrangements are often very supportive of work-life balance. If this is important to you this question can be a great way to see if a company takes a talent-centric approach. What is the Onboarding Process Like For New Employees? Chances are that if you’re going into a new technical role there’s bound to be a learning curve. Asking about what measures your potential employer has in place to support new staff will tell you a lot about the company culture. According to business consultant Nicki Morris, ‘if your interviewer says that rookie mistakes happen to the best employees, and everyone at all levels of the organization is coached on how to improve and learn, it indicates that the company’s culture is supporting and encourages professional development”. Most IT departments function as a collaborative team, so asking this question will allow you to signal to your employer that you know you’re there to be a team player. More specifically ask how you will be required to work with others to complete projects and other obligations. This will tell you lots about the day-to-day work you can expect to be doing. What Makes Your Product (Or Service) Better than Your Competitors? Asking this question is a great way to learn more about the company and how they see their product. Most hiring managers and developers will be more than happy to tell you what sets their product apart from the competition. If you don’t receive a clear answer this indicates that a company is struggling to differentiate itself from the competition. What Career Development Opportunities Does this Position Offer? This question offers you an opportunity to hear about whether the company in question has a set career progression path or if it lacks a thoroughly outlined approach. You want to make sure that you develop a clear picture about what needs to be done to move onto the next stage, and a rough estimate for how long this will take. The last thing you want to do is get stuck in a role with little opportunity for progression! IT departments are performance driven environments. As a result it’s a good idea to ask your employer about the kind of things they would judge your performance on. Whether that would be based on team-led feedback or project completion time can tell you a lot about their attitude towards staff performance. Ideally you want somewhere where performance is project based rather than based on abstract KPI’s. Even though it can be difficult, it’s extremely important to get all your questions out during the interview. An interview is as much an opportunity for you to get to know the company as it is a chance for them to take a microscopic look at your skills and experience. Asking the questions above will provide you with lots of information about the company culture and where you will fit in. It is important to remember that you won’t match up with every company’s culture. For example if you want to work somewhere with flexible working arrangements its going to be hard to adapt to an environment that doesn’t offer that ability to you. Likewise if you want to keep your skills up to date, it is going to be difficult to stay in a company that doesn’t finance your training. Above all, take your time and enjoy the opportunity to get to know your potential employer, you just might find the perfect fit. If you’re looking to find your perfect role, join the LynxPro portal here.